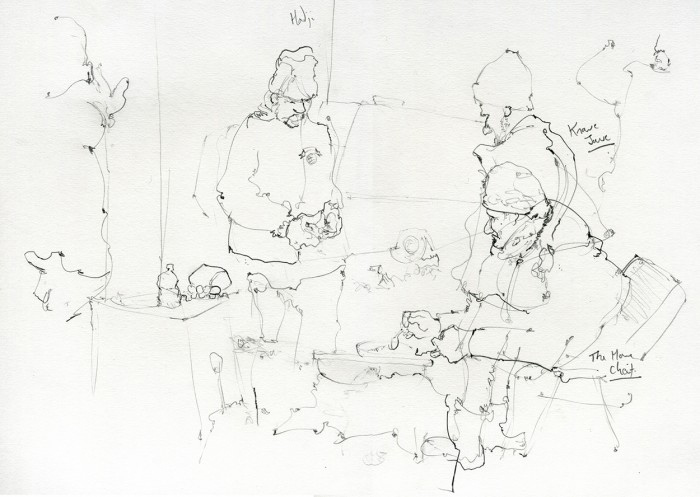 A series of reportage illustrations made while on location while in Calais. 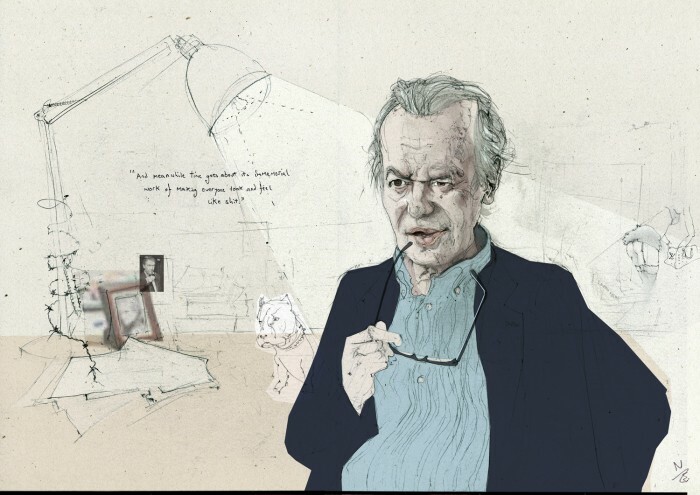 Currently part of the group exhibition ‘Journeys Drawn’ at The House of Illustration. 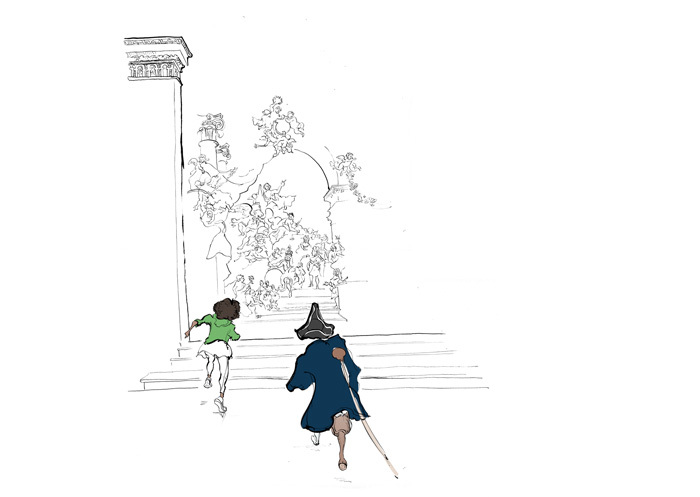 Running from Nov 2018 – March 2019. 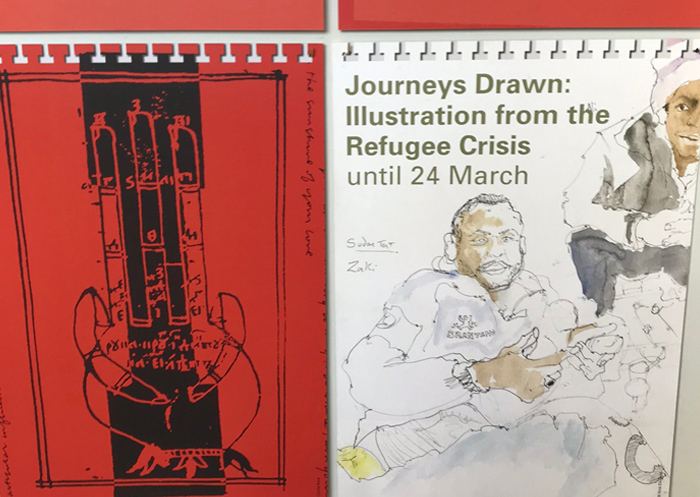 The drawings have also been exhibited at York Art Gallery – The Sea is The Limit 2018, The London Illustration Fair 2016, and Call Me By My Name: Stories from Calais and beyond with the Migration Museum. 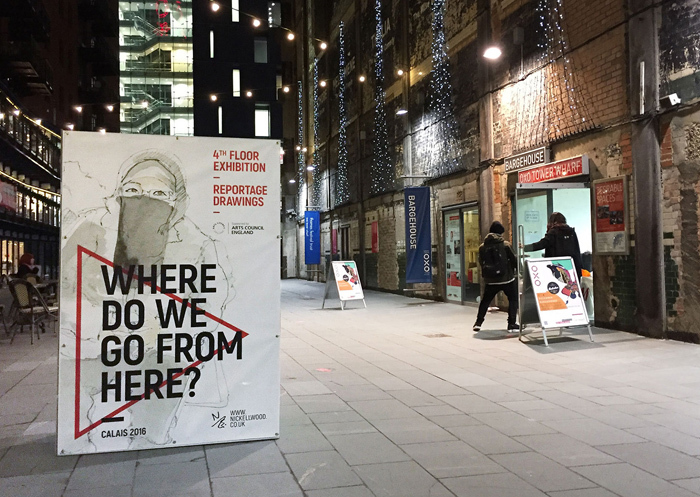 In April – December 2019 they will be going on to be part of ‘Lande’ a contemporary archaeology and anthropology exhibition looking at Calais and questions around migration at the Pitt Rivers Museum, Oxford University. 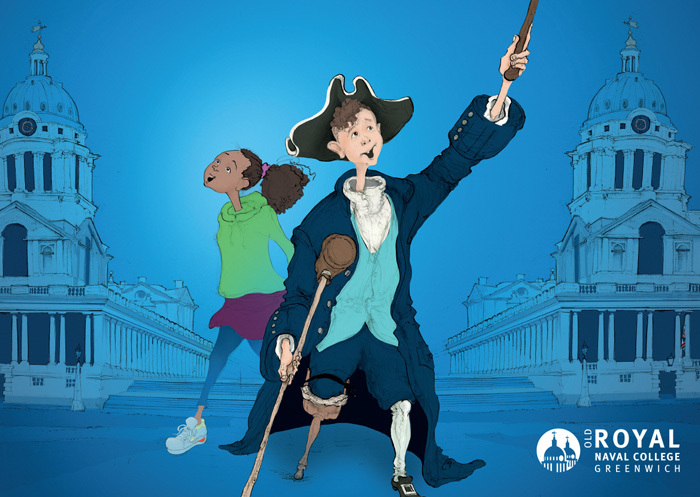 A new illustrated guide for children/families to explore and engage with the magnificent Painted Hall at Greenwich and the Old Royal Naval College. 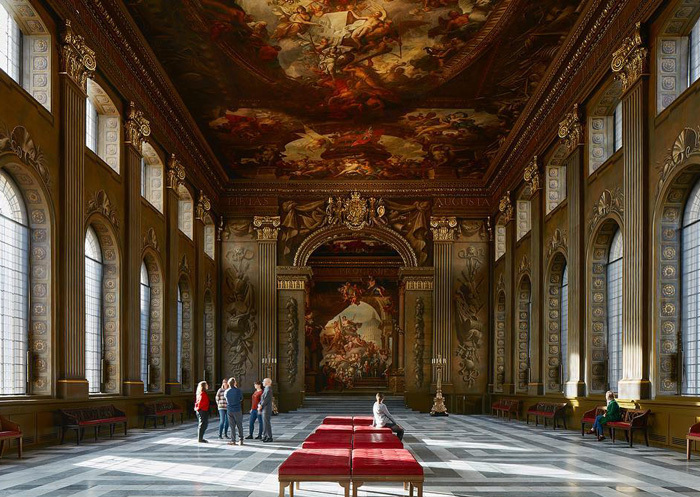 Launched in March 2019 after a four year conservation and development project on the Painted Hall. 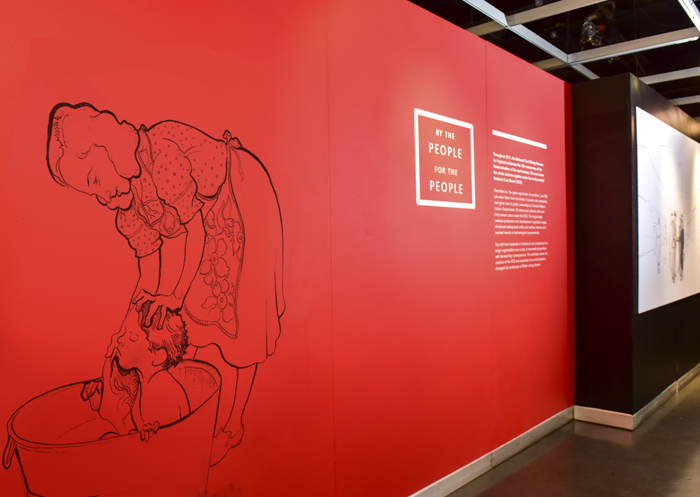 Large scale illustrations working as an installation for the National Coal Mining and year long exhibition on looking at the impact of Nationalisation on the coal mining industry ‘For The People By The People’ . Awarded the Frances Garnham Award for innovation in education by the Historic Houses Association. 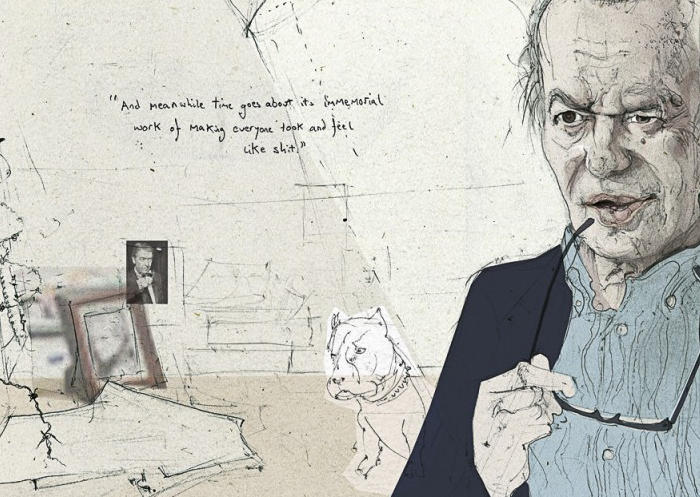 A new series of drawings and characters for the Georgian Town House Fairfax House Museum, York. 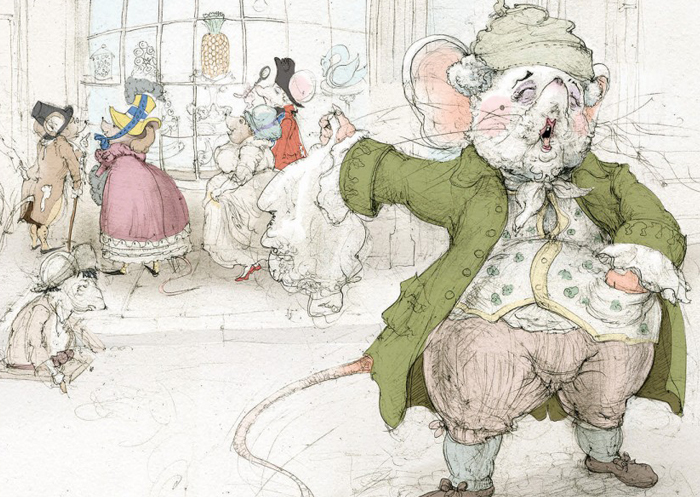 Designed for children aged 8-12 to join ‘Gregory the Townhouse Mouse’ on a Quest in the museum and to help reveal the culprit and decide their fate!